If you would like other family members to be photographed at the same time this can be arranged, however, photographs will be charged at our print price. Please contact us for further details. Free portrait Sitting and free 8x6 Print for the first 50 people to book every month. You can book a free portrait sitting and receive a 8x6 photograph of your choice free of charge. We will take a number of shots and you are under no obligation to purchase any other photographs although you are free to do so if you wish. Full details of prices for extra prints is available on request. 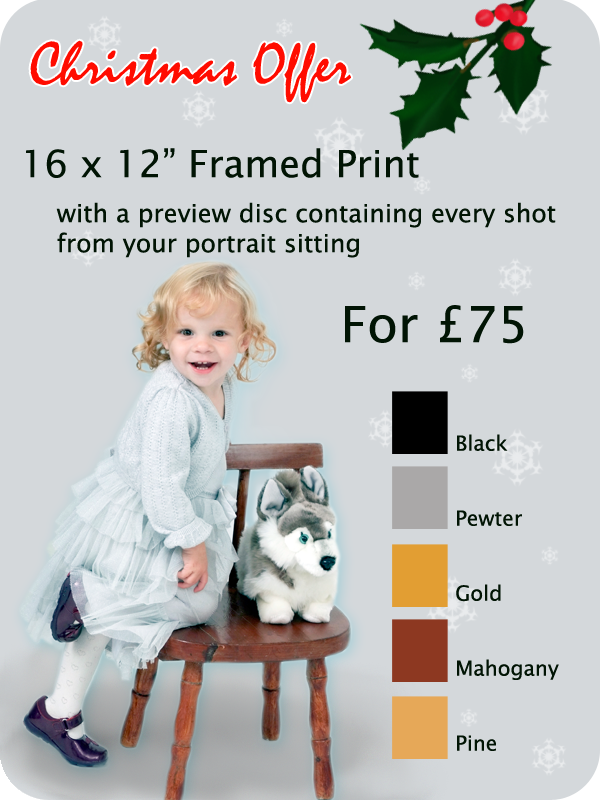 This offer includes individual portraits, family groups, pets etc.